It is officially winter, and along with that joyous thought, comes the surge in home heating related catastrophes. We have all heard the stories. A family without working home heating equipment, makes a dangerous decision to heat the home with the oven, stove, top, or a number of unsafe methods. Heating your home with any of these unsafe options almost always ends in disaster. Just as it did recently to a family in Gary, IN. Their home was without heat and instead of having a company perform carbon monoxide furnace repairs, or other heating service, they decided to use the kitchen oven to heat the home. As a result, on person died, and a child was seriously sickened by carbon monoxide poisoning. To have better understanding of disasters such as this, we must talk about what Carbon Monoxide is, when it occurs, and how to prevent it. Carbon Monoxide is a gas that has no smell, color, and can kill you. Its that simple. Where do you find Carbon Monoxide? 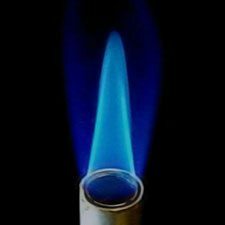 Whenever fuel is burned, carbon monoxide is produced as a result. Whether you are burning gasoline in an automobile, wood in a fireplace, or natural gas in a kitchen stove, CO is present. This is true for home heating systems as well. However, your furnace, boiler, or water heater are vented so that the carbon monoxide is removed from your home. While heating your home with your stove seems like an obvious red flag when it comes to safety, a common furnace repair might be to blame as well. Cracked heat exchangers cause carbon monoxide to leak into your home. Older furnaces, over time can develop cracks it the heat exchanger. These cracks allow furnace exhaust fumes containing Carbon Monoxide to enter your home. When a furnace repair technician detects these cracks, your furnace must be repaired or replaced immediately. Your number one line of defense against carbon monoxide is a carbon monoxide detector. You should have several in your home. A detector should be placed on each floor and also next to your furnace. This will alert you incase you require a carbon monoxide furnace repair. At Polar Heating and Air Conditioning we understand how important is is to provide furnace repair services that are affordable. No family should have to choose to heat their home with a stove or other unsafe device. It is a choice that often results in tragedy. We offer flexible payment plans and financing on new furnace installations. Contact us today to schedule an appointment.